As you're aware, balancing these responsibilities can be challenging, with many ups and downs along the way. But what if you could free yourself of many of the HR tasks associated with employment such as payroll and HR duties so that you could focus more of your attention on your more profitable sales and operational functions. You can - it’s called outsourcing! 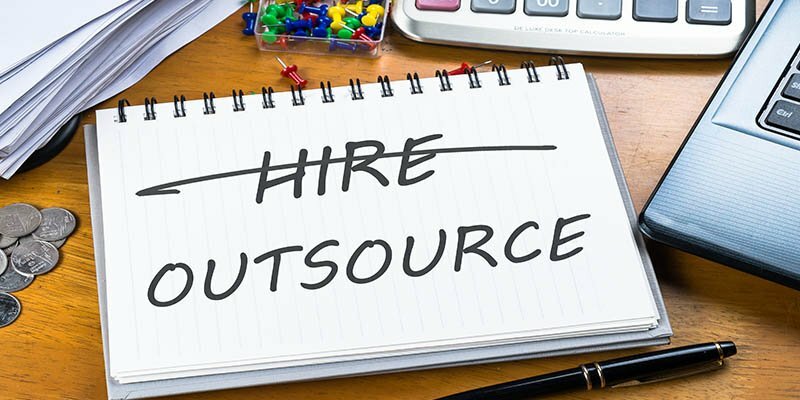 Outsourcing is the process of utilizing an outside organization to take care of recurring day-to-day business functions like payroll, HR, employee benefits, etc. Companies of all sizes often resort to outsourcing for numerous reasons—from cutting costs to increasing efficiency to reducing risks. As shown below, by outsourcing your HR functions you can save countless hours, administrative costs and thereby improve your bottom line. Here are a few ways outsourcing can benefit your organization. According to a recent study from the National Small Business Association (NSBA), 60% of business owners handle their own payroll, with 43% of them spending up to 10 hours of processing time a month.1 That’s 120 hours a year you spend processing payroll checks and making sure you follow all the federal laws that come along with payroll processing. As you may already know, payroll is much more than just cutting checks – it’s dealing with compliance issues, tax reporting, and filing; and ensuring all proper deductions from checks, like child support and other garnishments, are handled correctly. Why not outsource and gain back those 120 hours so you can focus on generating sales, networking, and training and developing employees. In addition to the time it takes to process payroll, you must factor in the time it takes you to keep up with the latest employment laws set by the government. If you fail to comply with these laws, your business can face large financial penalties that could cause your business to close its doors. After all, you started your business to offer great products and services to customers, not to worry about keeping up with the many payroll related laws and regulations. Outsourcing allows you to leave this responsibility to the experts that understand the payroll laws—allowing you to focus on other important business matters. As a business owner processing your own payroll, you may still be doing it manually or using an over-the-counter insecure payroll software program. These types of payroll processing methods could potentially expose you to a cyber breach and compromise your employee data. However, as your company grows, your payroll and personnel needs grow, too, and having access to state-of-the-art software and technology could be the answer. Organizations that offer outsourcing operate on the most advanced HR technology platforms that are the very best in the industry and protect your payroll data. With so many day-to-day responsibilities to juggle as a business owner, it's nice to know there are options to help you streamline your operations. Share your best practices on how you get things done at your organization by sharing a comment below. You may also consider reading our blog, Payroll Processing: 6 Cost-Saving Tips, to learn more about how you can save on your payroll processing.